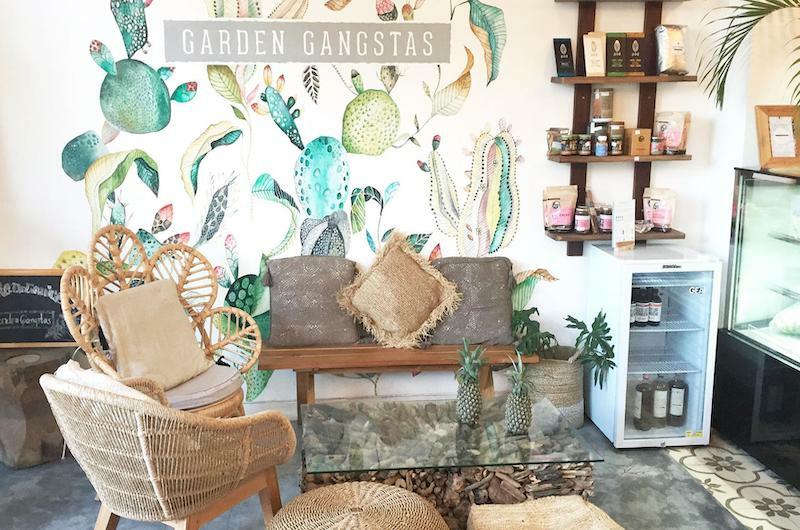 There’s a little know slice of lush green rice paddies between popular Seminyak and trendy Canggu that is fast becoming an identity of it’s own. Umalas, home to many boutique villas and up and coming eateries, offers incredible value for a luxe villa holiday in Bali. With neighbouring hoods know for being surfing towns and go to places for their shopping boutiques, a stay in Umalas will have you located just a 5-10minute drive away from the heart of the action. 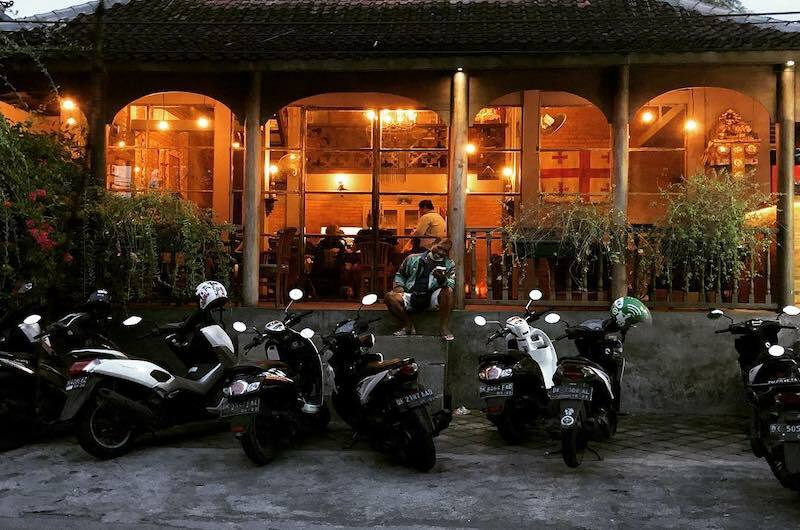 Escape to the lush green rice fields whilst you sip on a cup of coffee and wait for time to pass you by. Day dreaming to 360 degree panoramic views and tucked away from the hustle and bustle of the tourist track is this hidden gem. 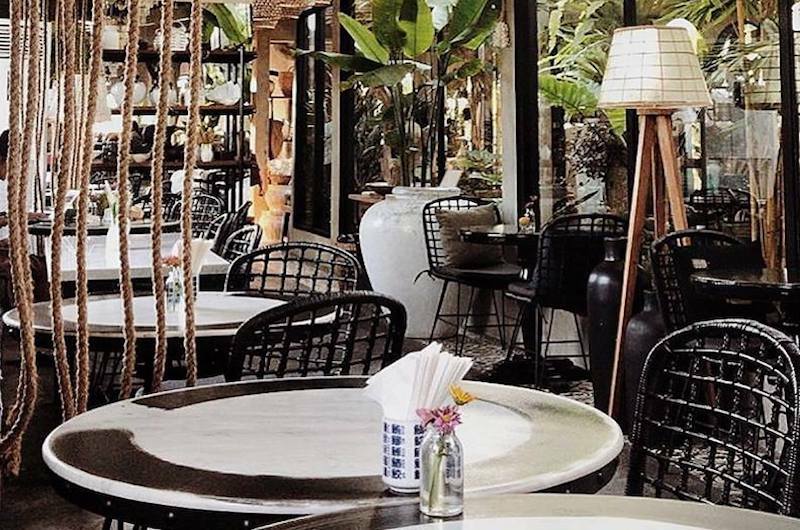 Part of the Nook group, you are guaranteed incredible service and gourmet cuisine with Balinese, Indonesian and Western infusion. 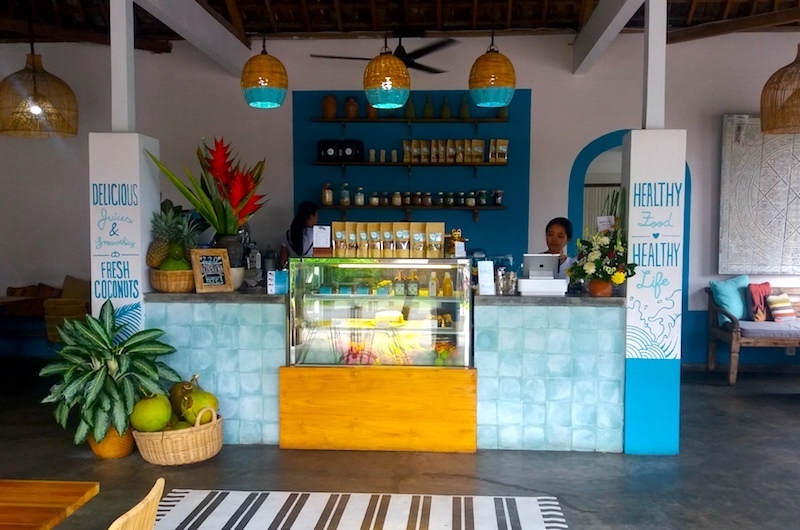 Recommended: for families and the traveller wanting a relaxing breakfast whilst they appreciate the naturalistic views of Bali. 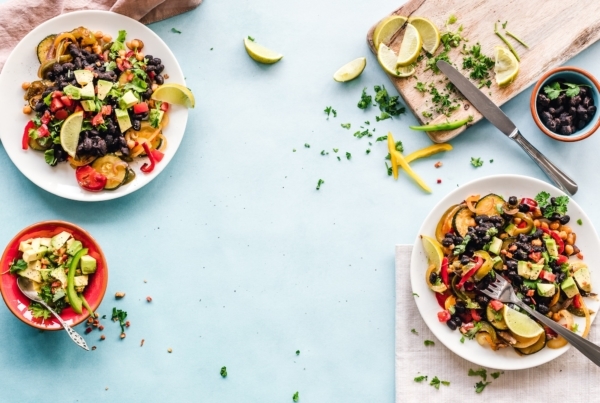 Offering a vegetarian based menu with a health conscious approach to simple meals. All produce is locally farmed and freshly sourced to make for a delicious dining experience. Their menu is reasonably priced and suitable for brunch and those wanting a vegan or vegetarian meal. We didn’t feel like we were missing out by not having meat as part of our meal as they are proportionally sized and filling. Recommended: for those looking for a vegetarian or vegan based menu with lots of options. 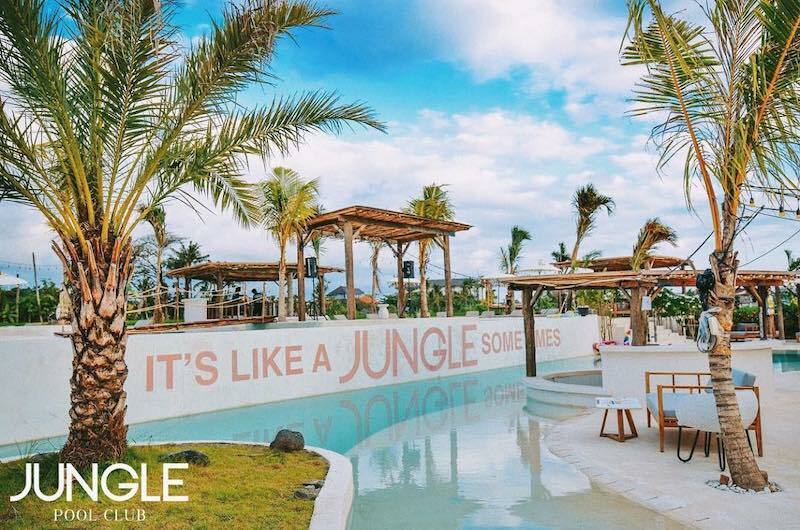 One of the only rice field pool clubs in tropical Bali. 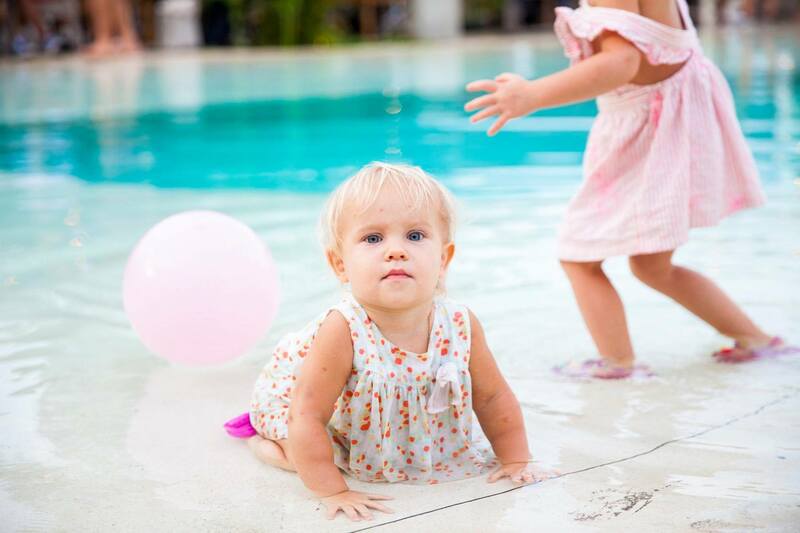 Suitable for both families and groups of friends with their multiple pools and chill out areas. Swings surround the pool whilst you can hear a relaxed tempo music beating all day long. An abundance of fans are featured throughout the venue so no need to worry about the summer rays being to hot for the little ones. We recommend trying one of their delicious pizzas or flavoursome paella. Recommended: for those wanting to enjoy a pool club for the day but not have to travel too far to do so. If you are looking for a diet fix, this is not that place for you. Not because their products aren’t incredibly fresh, healthy and nourishing for your body, but because it’s a way of living and not just a fad. 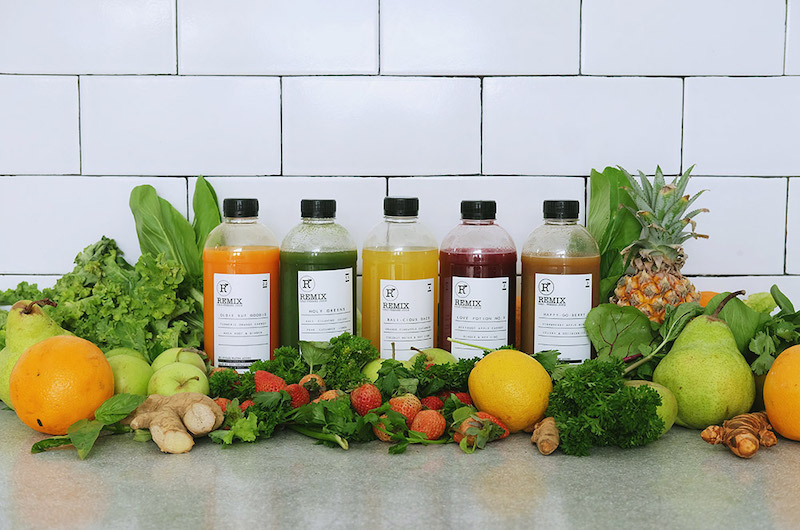 Providing your body with the anti-oxidants and vitamins your need, through carefully selected produce to create tasty cold-pressed juices and healthy treats. We love ordering in advance as all of their produced is made fresh onsite daily. Recommend: for those who may of had one too many mojito’s or are looking to nourish their body. After walking through the arched interiors you will be greeted to fresh poke bowls, hand-cut sushi rolls, burgers and wraps. All with Japanese influence and flavour, their menu is plant-based with a focus on vegan, vegetarian and pescatarian options (sorry no meat is served here). They also have a stunning range of homewares and sustainable clothing for you to browse. Recommended: if you are an avid Nook fanatic and have tried all of their other establishments we 100% guarantee Tetsuo by Nook will not disappointment. Feeling like a Japanese fix, book a table and enjoy lunch or dinner. If you are not familiar with Georgian home cooking, Tiflis in Umalas is the perfect place to become aquatinted. A full body of flavour is accompanied by traditional spices, herbs, breads, dairy and wines. Georgian cuisine is known for making people feel at home and comforted, with their rich meat dishes whilst always being accompanied by wine. Recommended: for people looking to try something different. A family-run French bakery with flakey croissants that will have your mouth watering for days. Serving a large range of tempting breads, cakes and pastries, perfect for your next breakfast fix or over a lunch meeting. 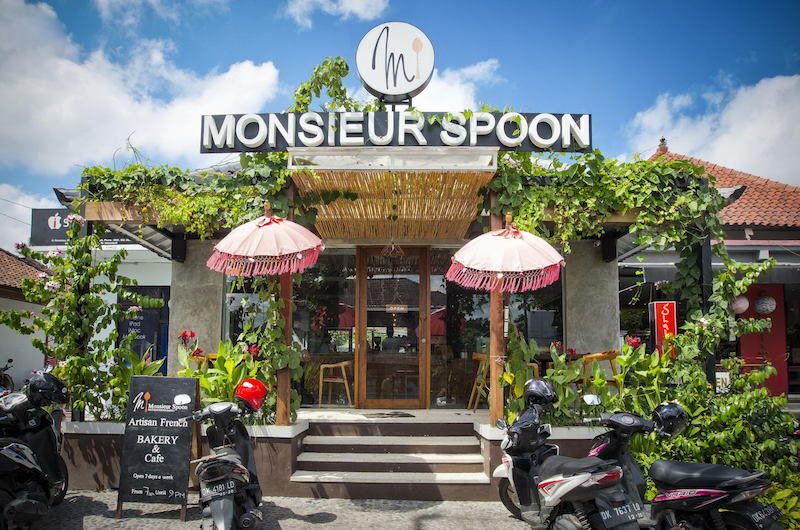 If you are looking for something different for your young ones to do whilst in Bali, monthly kids baking classes are held at Monsieur Spoon where your kids are able to be hands on in a safe environment. Recommended: we only have one word… croissants! At La Casetta you will taste traditional Italian food filled with soul and authenticity thanks to the home style method of cooking. From recipes handed down over generations, we can see why this rustic and cosy restaurant is a favourite dining option for romantic dinners and daytime long lunches. 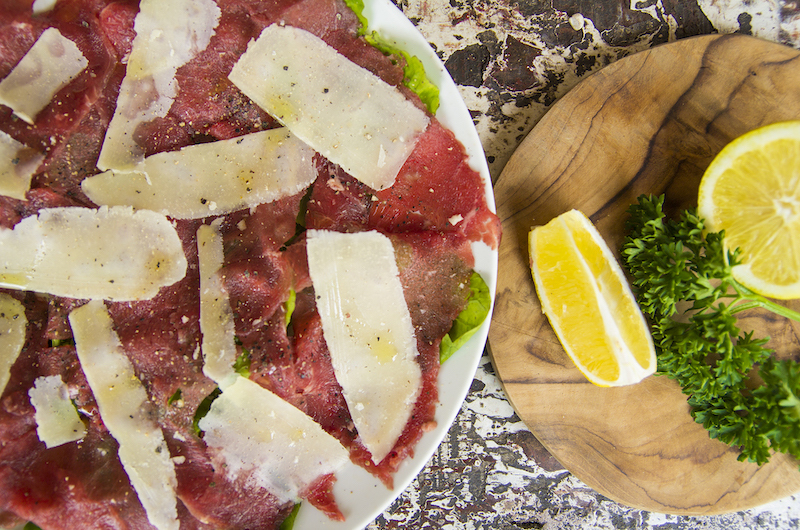 On their menu you will find fresh pizzas, hand crafted pastas and classic cocktails that will suit even the fussiest of eaters. Recommended for: your next romantic date night should be here and dinner for two wouldn’t be complete without a bottle of wine to share. A French bistronomy with a Mediterranean twist and hints of Asian influence. 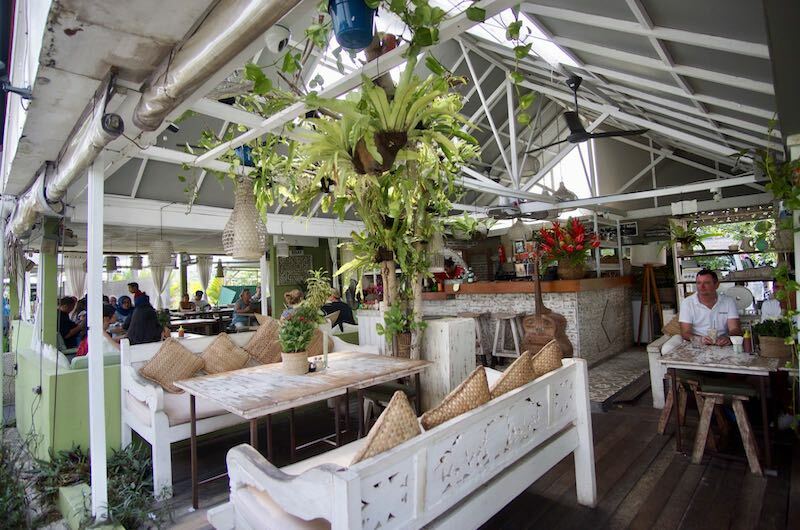 Not only are they known for pushing the boundaries and making your taste buds dance, they’re also known for their funky, disco nights and soulful Saturdays. 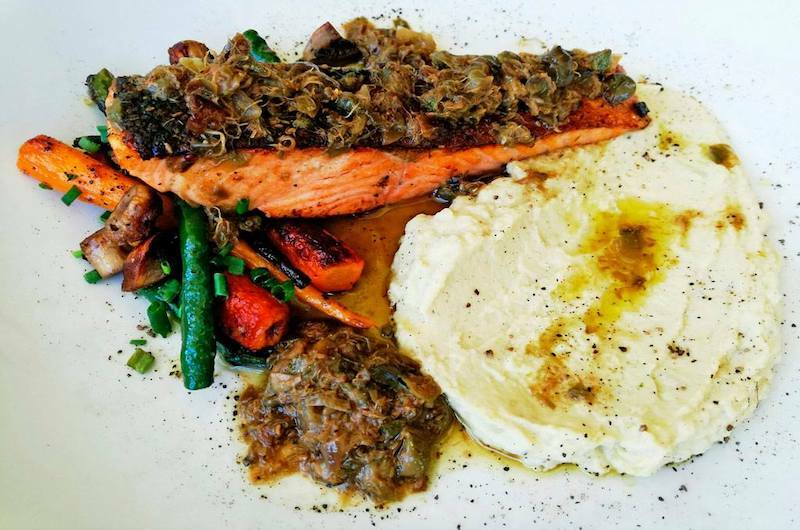 We recommend trying their dishes family style so you can taste test as much of their menu as possible. Recommended: this is more suited for adults wanting a night out together with friends or couples travelling together. If you are looking for a straight forward, full flavoured simple lunch that is both fresh and healthy, Eko Cafe Bali is your go to choice. An extensive breakfast and lunch menu including Eko bowls, your typical breakfast favourites and our lunch go to, a Chicken Schnitty Sandwich (and YES, it included slaw, mayo and handcut chips). Recommended: for when you are craving a good cup of coffee, or want to take care of this midday cravings. 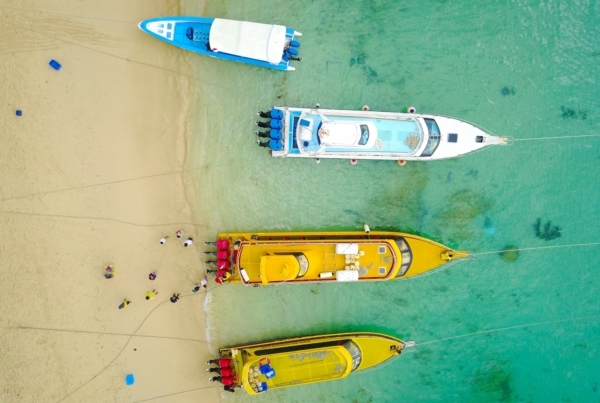 Of course to maximise our 10 reasons why we recommend staying in one of the many Umalas villa options, suitable for couples, families, groups or special occasions.